Heidi A. Campbell and Heather Looy, eds., A Science and Religion Primer (Grand Rapids: Baker Academic, 2009), $15.99. Dialog about the relationships between science and religion is usually an interdisciplinary endeavor, with all the jargon and assumed knowledge you can shake a stick at. The editors decided a “crib sheet” of key terms and figures would provide “a way in” to the currently central discussions about religion and science (13). The first section of the book contains intro essays about the respective roles of history, philosophy, theology, and technology in discussions of religion and science. The second half is a collection of A to Z entries on a bunch of different SR topics, including Chaos Theory, Darwin, Ecofeminism, Emergence, Fideism, Intelligent Design, Metaphysics, Panentheism, Spinoza, Theodicy and a bunch more. Each entry contains key points and suggestions for further reading. I worried that the book would be a bit boring, but each article is written by a talented and knowledgeable scholar who brings a unique voice to their subject without straying from the introductory purposes of the book. If you’re looking for a nice intro, I definitely recommend this book. I could see it coming in handy at seminars and in study groups like the one Steve Peck recently participated in at BYU. 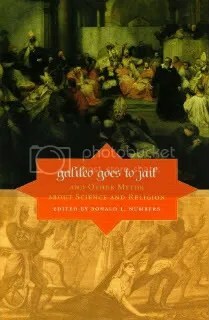 Ronald L. Numbers, Galileo Goes to Jail and Other Myths About Science and Religion (Cambridge: Harvard University Press, 2009), $17.95. The currently fashionable tale of science’s brave triumph over outdated obstructivist religion is oddly unscientific. The historical evidence doesn’t support the tale. No doubt there have been and continue to be religious people who see science as evil, and scientific minded folk who see religion as hopeless superstition. But this is far from the whole picture. The contributors to this really fun volume–some religious and some not–seek to dispel 25 myths which obscure the truth about the relationship between religion and science. Medieval Christians didn’t think the earth was flat. Organic evolution isn’t based on circular reasoning. Darwin almost certainly didn’t reconvert to Christianity on his deathbed. Einstein didn’t believe in a personal God. Galileo didn’t go to jail, and much of the opposition to him occurred on scientific grounds. These and other stories are pithily but soundly explored in order to inject your brain with a little due complexity. History is the perfect avenue into discussions of science and religion. Most importantly, the chapters not only explore reasons the myths are inaccurate, they also discuss how and why the myths arose to begin with. Strongly recommended. 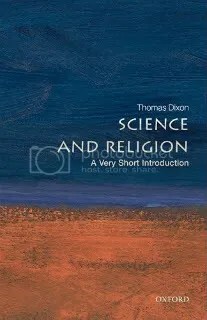 Thomas Dixon, Science and Religion: A Very Short Introduction (New York: Oxford University Press, 2008), $11.95. 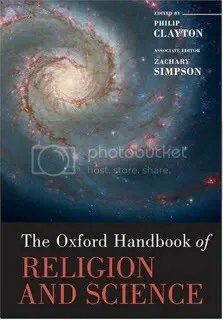 Philip Clayton and Zachary Simpson, eds., The Oxford Handbook of Religion and Science (New York: Oxford University Press, 2006), $55.00. This gigantic tome (1000+ pages!) is the most comprehensive one-volume treatment of SR dialog I could find. I was especially eager to read Part I, which contains chapters on science and Hinduism, Buddhism, Judaism, Christianity, Islam, Indigenous Lifeways, Naturalism, and Atheism. While each of these chapters has good things to offer, I was disappointed that none of them present a historical overview of how each tradition accommodates or conflicts with the natural sciences. Instead, they focus on particular subjects each tradition attends to; like consciousness, well-being, anti-intellectualism, creation, idolatry, etc. The atheism essay literally amounted to “science rules, religion drools” without bothering to actually define those terms. Other chapters later in the book, however, are sufficient to overturn such dogmatism. Perspectives from all over the place get a hearing here–anthropology, social sciences, philosophy, systematic theology, postmodernism, etc. Methodological considerations, current theoretical debates, and concerns about ethics and values all receive attention. There’s even a pro-et-con exchange between William Dembski of the ID movement and Robert Pennock, who testified in the 2004 district court case which prevented ID from being taught in Pennsylvania schools. Contributors include heavy hitters like John Polkinghorne, John Hedley Brooke, Alister E. McGrath, and John F. Haught. As a giant collection it suffers a bit from lack of central focus, so while I’m having plenty of fun with it you might try it out at the library before deciding to give it a home on your bookshelf. This is great Blair. Question about the Theodicy entry. I’m curious about the science angle there. Theodicy is not often formulated as a question of science and religion. From a purely historical standpoint, Randall Stephens’s and Clark Giberson’s “The Anointed: Evangelical Truth in a Secular Age” (Harvard UP, 2011) is a wonderful overview of the rise of fundamentalism in the face of science during the 20th century. Jacob, the primer is meant to provide quick bridges between science and religion in dialog. Imagine being a nuclear physicist at a conference on SR and someone drops the term “theodicy” in the middle of the discussion. Flip to the entry in the primer and you’ll find a definition and a description of Xtian thinkers who’ve advanced a theodicy (Augustine, Aquinas, Lebniz, Mackie, Plantinga, etc.). You’ll also learn that some recent theologians have criticized theodicies for excusing evil rather than trying to lessen it. Particular scientific questions include determinism, technology and the Holocaust (ethics), etc. You’ll be clued in quickly about what the speaker was talking about when they dropped the T word on you. Ben Park, thanks for the recommendation, I hadn’t seen that one and it looks very good. I really think historians play a crucial role in discussions on science and religion. I’d add that I think theodicies have a particularly difficult time with evolution. New Atheists have long made hay with this. So it actually is a place where there is a conflict between science and religion. The problem is that most taking up the problem of evil just deal with the logical problem which isn’t really the main concern anymore. It’s less the question of how any evil can exist than how these evils exist that aren’t due to free will. Bingo, Clark. Darwin himself lost faith largely as a result of the problem of evil. Also, “theodicy” comes up in a few other entries (like the one on Lebniz). The editors placed such terms in bold to alert the reader that a full article exists elsewhere in the book. Very handy. Blair, this is brilliant. 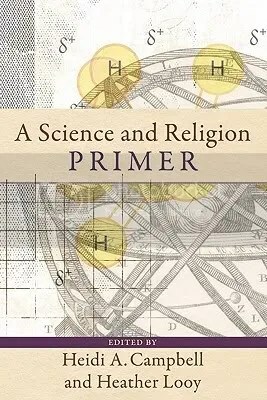 I have the Oxford books you recommend but the primer I’ve not seen before. It looks like a great book for students being introduced to the topic especially. Thanks for putting this together! I was really impressed with the primer, Steve, I think it would be quite handy for students too. I just finished Allison Coudert, Religion, Magic, and Science in Early Modern Europe and America (Praeger, 2011). It’s really awesome. I think I’ll review it at JI. I’d love to see that Steve. Blair, it is depressing to read your posts, because they constantly remind me of all the books I will probably never get around to reading. The only book on science and religion I need is the Old Testament. And, when that doesn’t clear it up, Mormon Doctrine. Hmmm, I a little surprised that “Faith of a Scientist” and Henry Eyring’s biography “Mormon Scientist” aren’t on the list. I thought those were excellent. Thanks for these short reviews, I just bought A Science and Religion Primer. It looks quite interesting. Thanks for alerting us to these books. Works that are not in the “science rules, religion drools” variety don’t get reviewed in Scientific American, and even journals like First Things only occasionally review one book in this area.